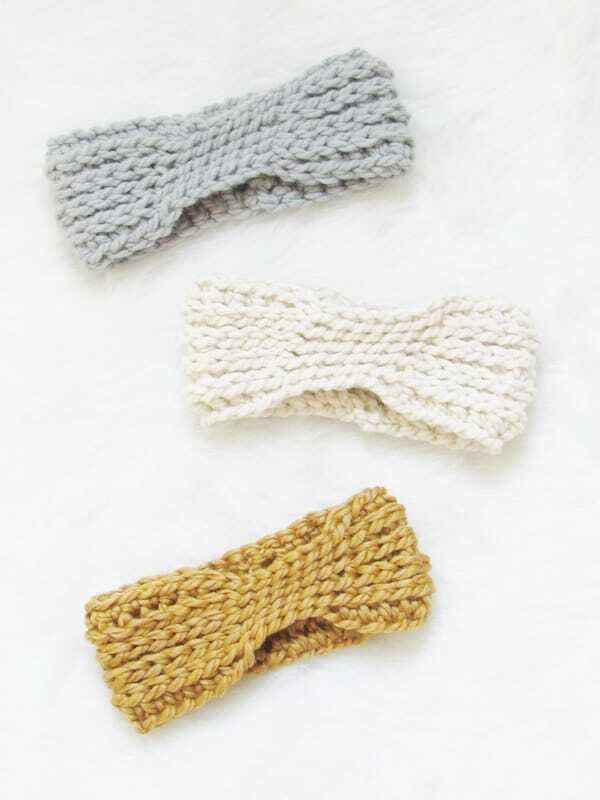 Who wouldn’t love a crochet ear warmer that works up in just 15 minutes? What’s more? 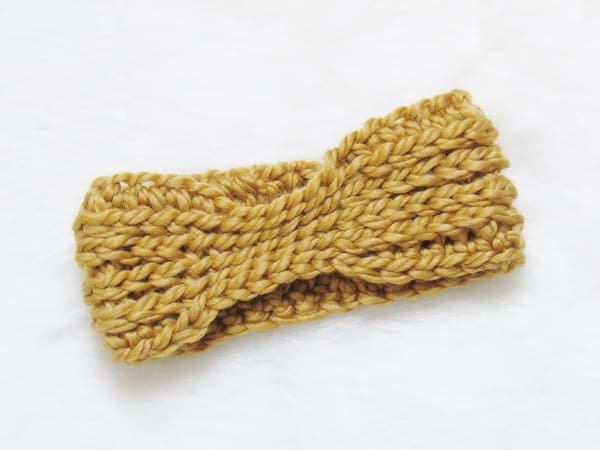 It takes only 35 yards of bulky weight yarn to make one of these in the biggest size. You can make 4 of these in just about an hour. 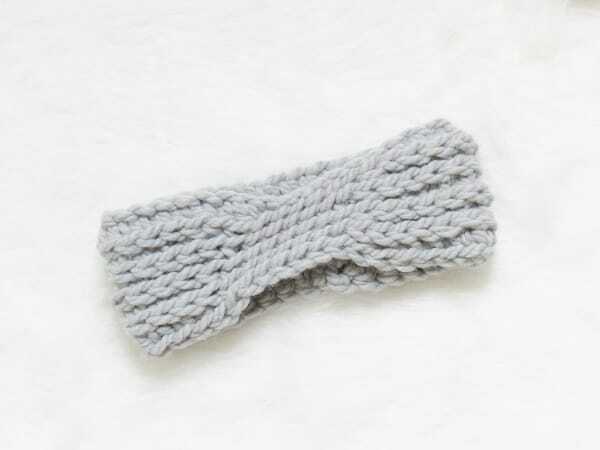 This chunky crochet ear warmer would make great gifts as they work up quickly and take up very little yarn. Working into the third loop of the half double crochet stitches gives it a classy knit look. I hope you will enjoy working on it. You can follow the free pattern given below or purchase an Ad-free PDF for $1.99 here. Super Bulky Weight, size 6 yarn. Big Twist Natural Blend was used for the samples. A smaller hook, 6.5mm or closer to weave in the ends. The pattern is in US terms. You can find a US to UK conversion chart here. 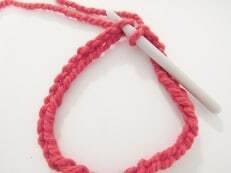 Hdc in the 3rd loop: You will work your hdc into the loop that is behind your stitch and not into the “V” of your stitches as in regular crochet. See the picture below. This will give a knit look to your work by pushing the unworked stitches to the front of your work. The stitch counts for bigger sizes are given in the order Child (Adult Small, Adult Medium/Large). Ch 32(35, 37), sl st to the first ch to form a chain ring. Take care not to twist the chain. Row 1: Ch 2 ( does not count as a st), 1 hdc in the next ch, place a marker in the st you just made, 1 hdc in next 12(13, 14) sts, sl st loosely into the next 6(7, 7) chains, 1 hdc in the remaining 13(14, 15)sts. Row 3 & 4: Repeat Row 2. Row 5: Sl st into the 3rd loop of the marked st, ch 1, 1 sc into the same loop as beginning ch 1, 1 sc into the 3rd of the next 12(13, 14) sts, sl st loosely into the back loop of the next 6(7, 7) sl sts, 1 sc in the 3rd loop of the remaining 13(14, 15)sts, fasten off and join to the first sc with an invisible join as shown below. 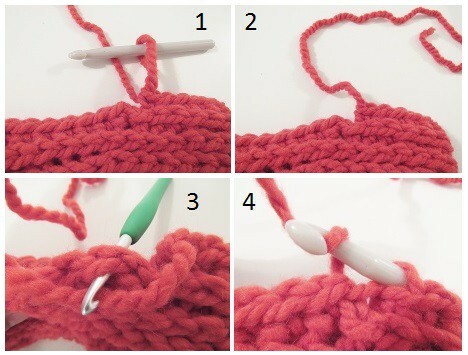 Pull the loop on your hook until your yarn tail comes out of the last stitch. 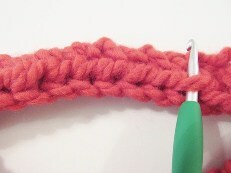 Insert your hook under the first st and pull the yarn tail through. From under, Insert your hook between the 2 loops of the last st and draw the yarn tail through as shown to complete your invisible join. Your joint will look just like a regular st now. Note: You can see a video on how to do the invisible join here. You might also like my Twist Ear Warmer found here. I love this pattern, but, when I first tried to print it, the web site wouldn’t come up, then when it finally did, the print is print over print so I can’t read it. Can you fix it? Hi Jeanie, My website was down the day before due to some server issues. I think it is fixed by now. Hi!! What yarn did you use specifically in this pattern? Love it!! Big Twist Natural Blend yarn was used for the samples. Any super bulky size 6 yarn will work. Hi! I’m sorry, this is probably a really stupid question but: When I do 37 ch(adult large) It does not even come close to reach around my head! What am I doing wrong? Hov do I fix it. Can I ad more loops or am I simply not understanding the pattern? I would be really greatful for some help! Try working one row and see if it fits, Chain can look shorter before you work your first row. If it still doesn’t fit, you can add extra chains.